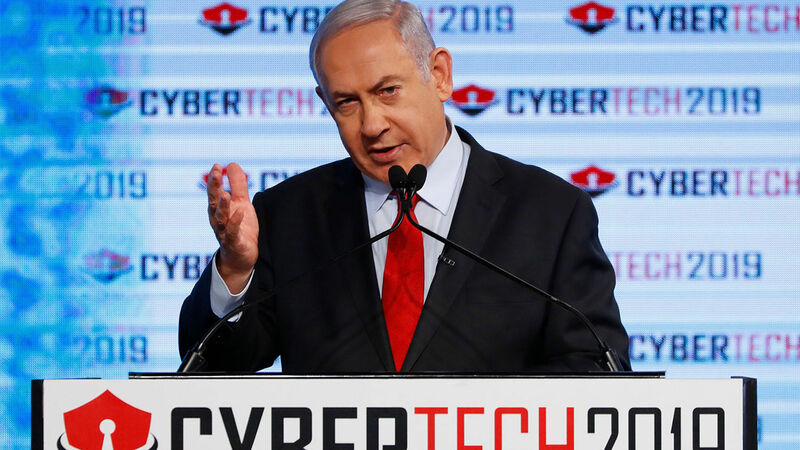 Israeli Prime minister Benjamin Netanyahu delivers a speech during the ‘CyberTech 2019’ conference for the Cyber industry on January 29, 2019 in Tel Aviv. - Netanyahu accused arch-foe Iran of regularly launching cyber-attacks at Israel, which the Jewish state manages to thwart with its ‘unmatched’ cyber abilities. Yet God still promises to deliver Israel. Notice Hosea 1:7: “But I will have mercy upon the house of Judah, and will save them by the Lord their God, and will not save them by bow, nor by sword, nor by battle, by horses, nor by horsemen.” This prophecy is for Israel in the end time (Hosea 2:21). God promises to once again save Israel, but not through its own military strength or technological advancements. God said He would take away its military might (Hosea 1:5). Instead, God will send His Son, Jesus Christ, in all power, glory and divine force to establish a new world government (Daniel 2:44-45). He will return to Jerusalem upon the Mount of Olives (Zechariah 14:4) and declare to Israel: Ammi, meaning “my people” (Hosea 2:1).